Posted 23rd March 2016, by John Aves. We have worked for many years with clients on the development and implementation of their customer strategies. The universal view is that it is much tougher to implement a customer experience strategy than it is to develop. One of the implementation challenges often cited is that people resist change. Not true. This is a very unhelpful myth because people do not naturally resist change. They resist the negative consequences associated with change and are fearful of the unknown. Change does not happen if people feel defensive. The human brain is naturally curious. We are wired to explore and to do new things but to do that people have to feel safe enough to try new things. This is where the role of leadership comes in. Much has been written about the role that leaders play in helping their organization embrace the move to a customer-connected future. It will be interesting to see how the change in leadership at Tesco plays out. Dave Lewis was appointed CEO 18 turbulent months ago, replacing Philip Clarke who had been at Tesco ‘man and boy’. At its peak in 2007 Tesco had 31.8% of the grocery market in the UK. Since then the business has been on the back foot suffering from intense competition from the discounters, lost market share, a £6.4bn loss, the closure of 68 stores with a loss of 10,000 jobs and a £500m fine from the Serious Fraud Office over an accounting scandal. What a time to take over!! It is not clear what Tesco stands for. It has an advertising strapline (“every little helps”) that speaks to low prices but with Aldi and Lidl Tesco is not the cheapest. 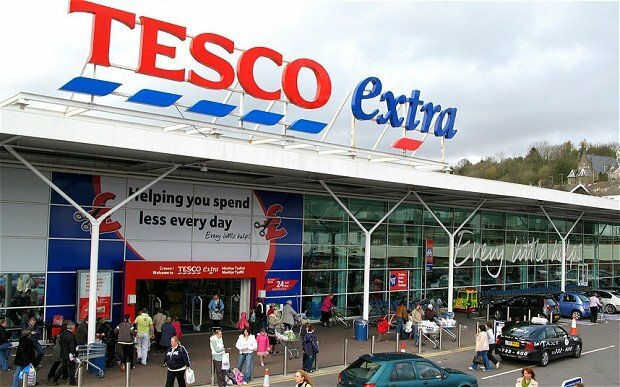 The biggest challenge Tesco faces is to convince customers that shopping at Tesco is worth the trip. Dave Lewis describes Tesco as a brand that is tolerated rather than loved. This leadership style will not serve the business well going forward if the goal is to energise employees and engender the innovation needed to develop a creative product and service offering that is of value to customers. Employee confidence has, not surprisingly, taken a big blow. As Dave Lewis creates clarity around the customer proposition and if he instills a new, more inclusive, style of leadership, employees will start to believe in the future of Tesco. There are many other things that will need to be addressed at Tesco. Building the confidence of customers and employees represents a pretty sound starting point.